Booz Allen Hamilton has won a five-year, $37.4 million contract from the Defense Human Resources Activity to help administer key functions of the National Language Service Corps. The Defense Department said Wednesday Booz Allen will help NLSC recruit potential members; gather and retain member data; provide information to government organizations that are part of NLSC or seek to join the program; and support member activation and proficiency certification processes. The contract also covers regulatory compliance support and the delivery of language acquisition services and other benefits to NLSC members. 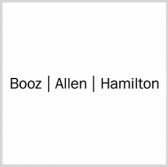 Booz Allen will perform work through March 14, 2023. DHRA received two proposals for the contract and will obligate $7.1 million at the time of award from its fiscal 2018 operations and maintenance funds. NLSC is a group of multilingual U.S. citizens who provide supplemental language resources to U.S. federal agencies.